When you raise chickens, it seems to always be "feast or famine" when it comes to eggs. When your hens are laying, you'll spend hours surfing Pinterest looking for new ways to use up all those extra eggs. Maybe you'll try freezing them or experiment with other methods of preserving them. You might even try making your own mayonnaise. 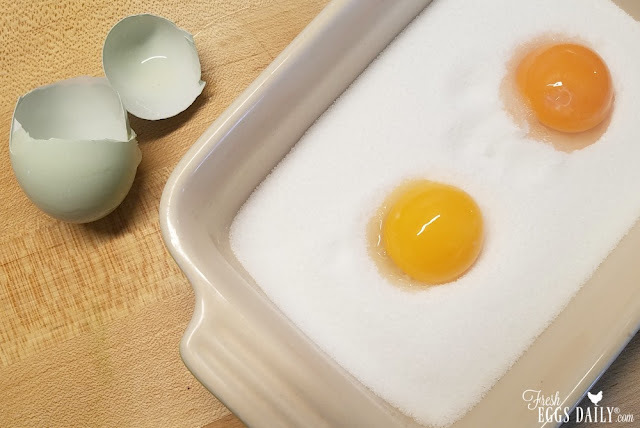 I've done all those things when eggs are plentiful, but one thing I had never tried was salt curing eggs. Until now. I sifted through a handful of recipes I found online and sort of tweaked them a bit to come up with a recipe that can be easily adapted depending on how many eggs you want to cure. 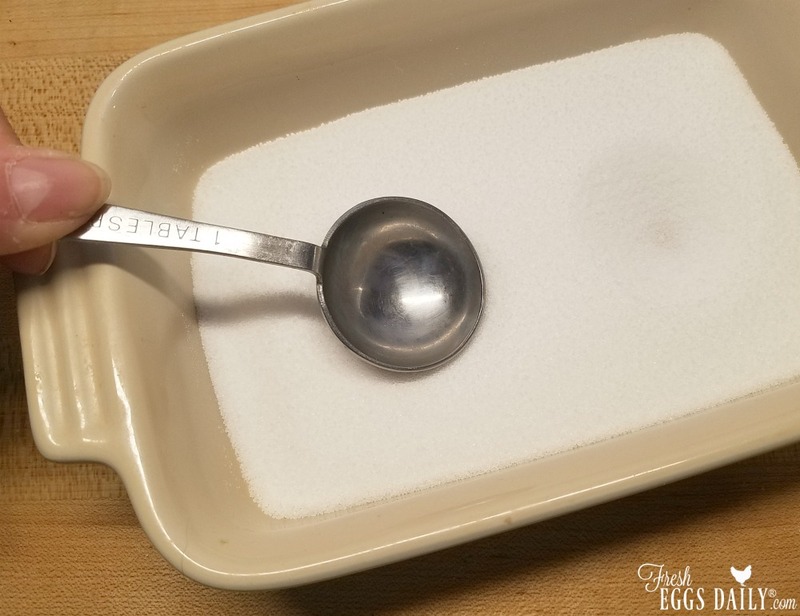 Other than eggs, all you need is salt and sugar. The salt absorbs the liquid in the yolk and inhibits the growth of bacteria, while the sugar feeds good bacteria. 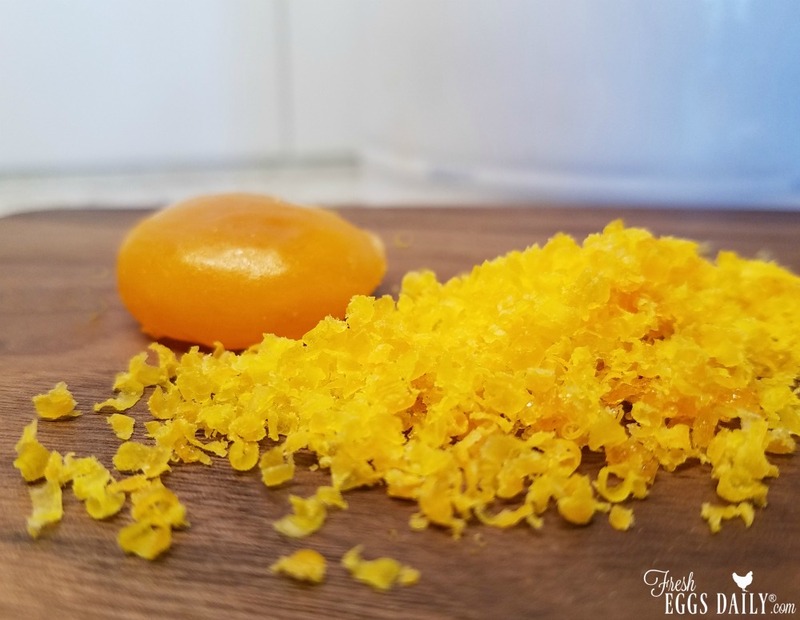 You can adapt this recipe for any number of eggs. 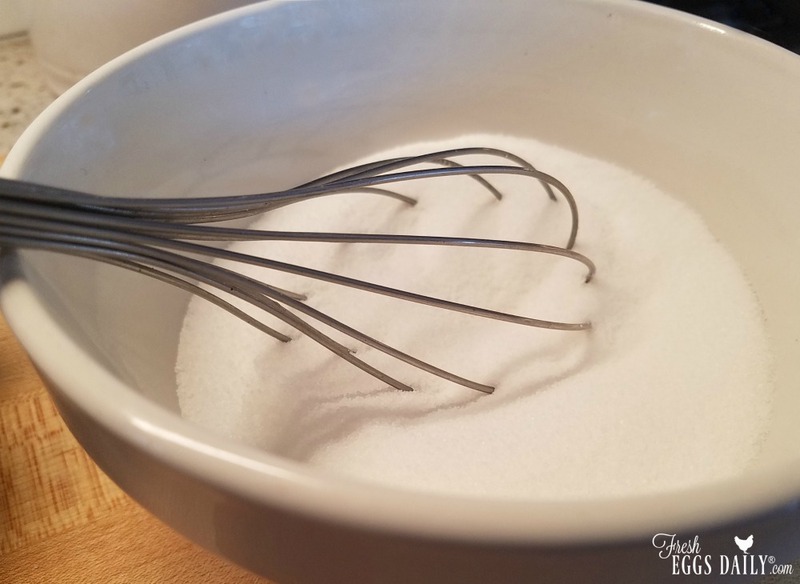 Whisk salt in sugar in a bowl. Spread half into a glass baking dish, at least 1/2" thick. 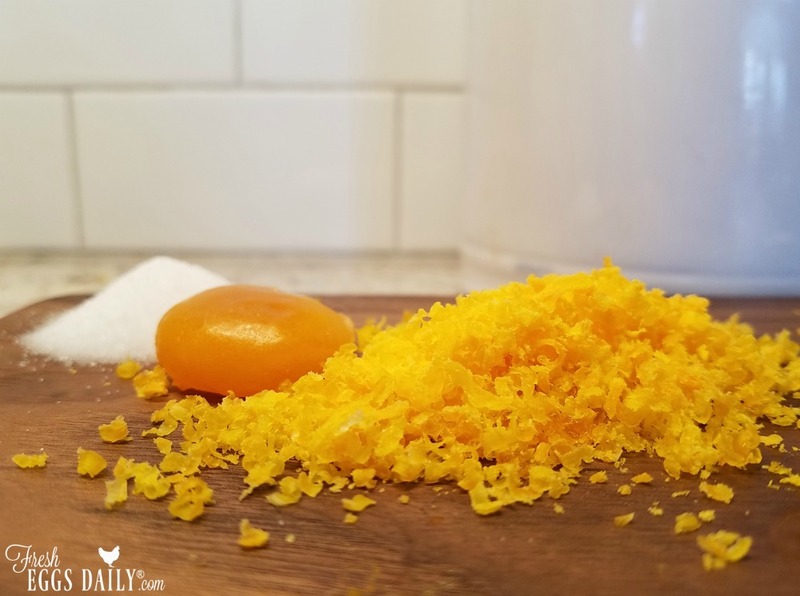 Press a Tablespoon into the mixture, making a depression for each egg yolk you'll be curing, spacing them out in the dish. Carefully crack an egg yolk into each divot, being careful not to break it. 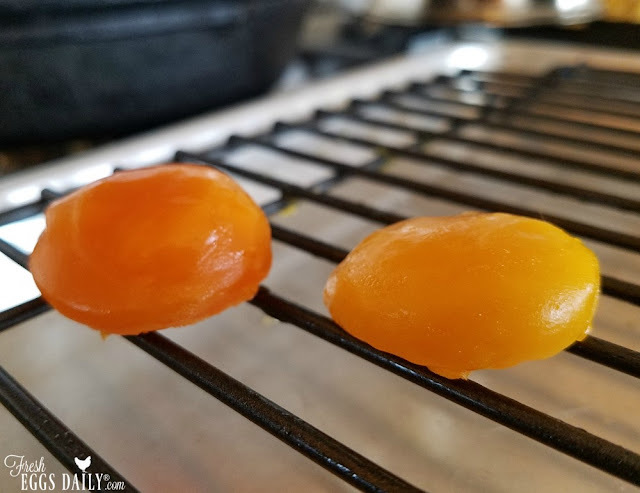 Cover the yolks with the remaining salt mixture, then wrap the dish with plastic wrap and refrigerate. 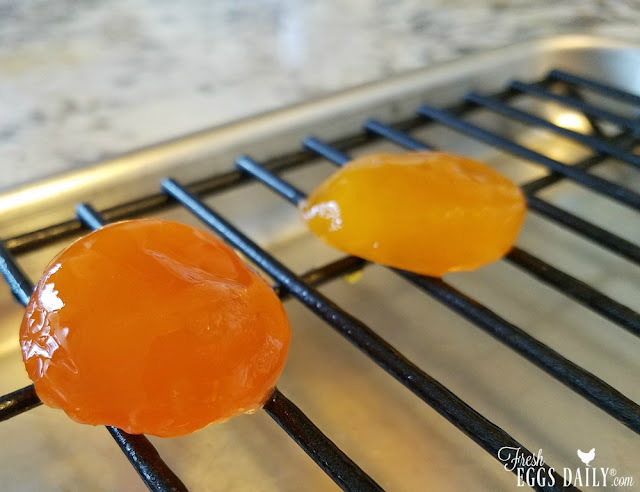 Refrigerate the yolks for 5 days. 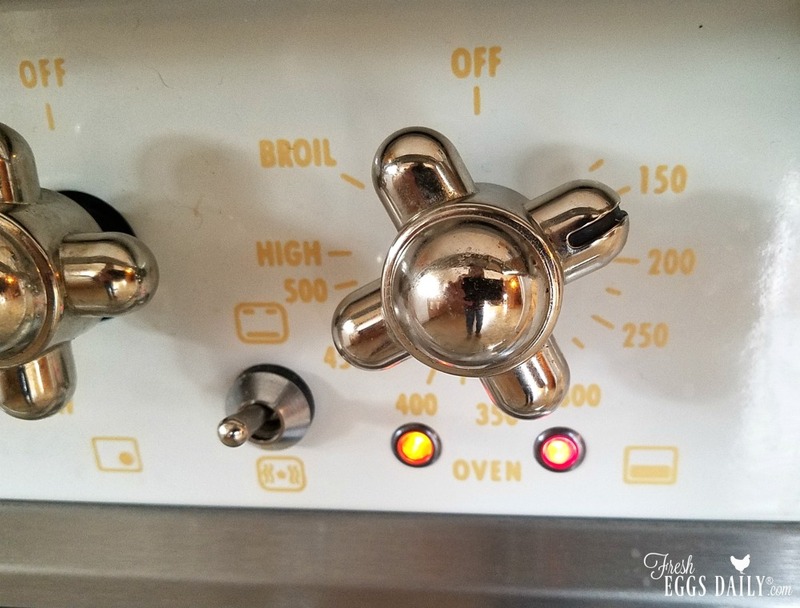 On the 5th day, preheat your oven to 175F degrees. 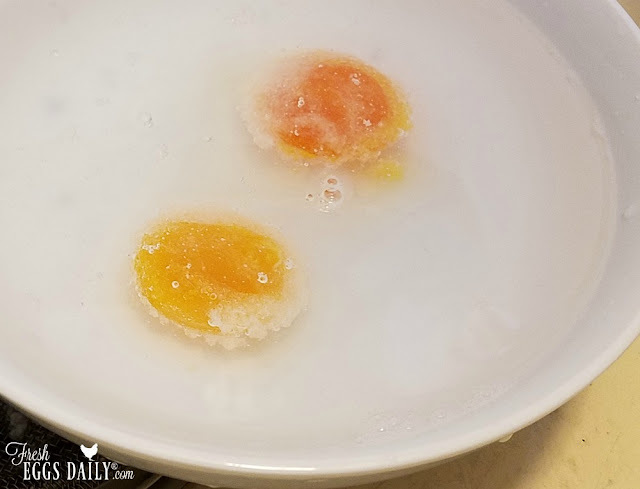 Carefully remove each yolk from the over, brushing as much of the salt crust off as you can, and then place the yolks into a bowl of cool water. 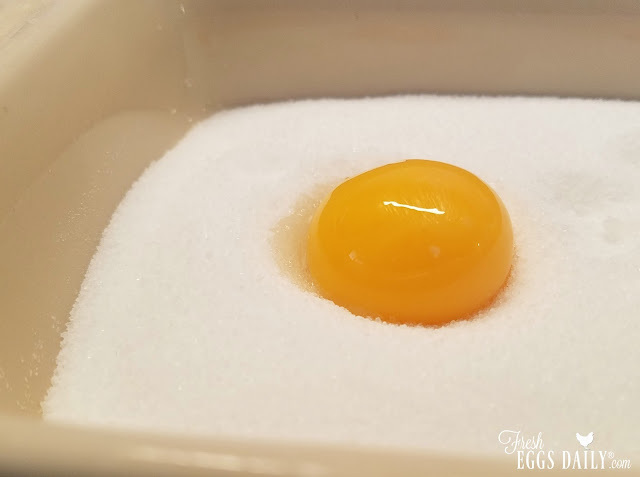 Gently rub any remaining salt off of each yolk, then pat dry with a paper towel. Spray a wire rack set on a baking sheet with cooking spray, then place the yolks on the rack and set in the oven for 2 hours. 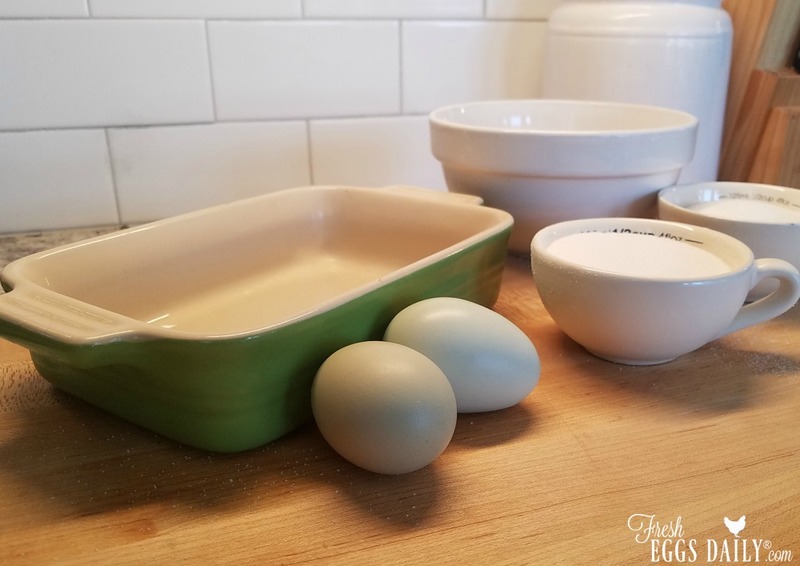 (f your oven won't go that low, you can just dry the yolks in an unheated oven for two days.) Let cool, then store covered in the refrigerator for up to a month. 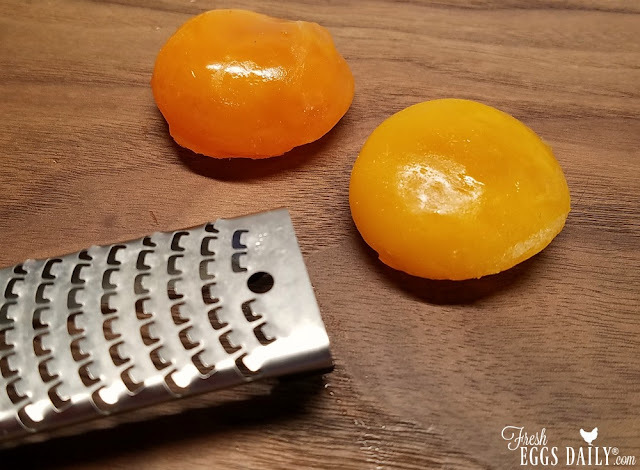 Grate the yolks with a cheese grater as needed to top pasta, scrambled eggs (yes really! ), soups, baked beans or salads. The salt cured eggs are a bit of a pain in the neck to make, and while it definitely looks like grated cheese and does sort of taste like grated cheese believe it or not, since it takes so long to cure, it's not like you can whip some up when you realize that you're out of cheese at the last minute. I also found it to be a bit too salty, despite really rinsing off all the salt crust. So, I think I'll stick to traditional grated Parmesan in the future! But it was fun to try once.